A heartfelt story of the bond of love and devotion between a man and his dog in war. 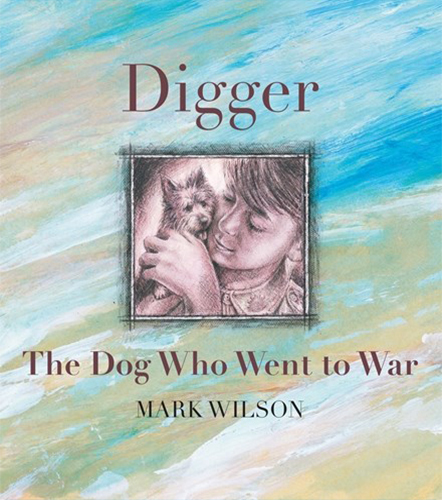 Matthew, a young Australian soldier, smuggles his beloved dog, Digger, onto the troop ship when he leaves to fight in World War One. At the front, Matthew works as a stretcher-bearer and Digger helps him rescue the wounded. Together, they face the triumphs and tragedies of the Western Front. Based on the true story of Driver, a puppy that was smuggled onto an Australian troop ship during World War One, this heartfelt story shows that the bond of love and devotion between a man and his dog cannot be broken, even by the tragedy of war. This book is FANTASTIC. I read it to my Grade 3 class and we all fell in love with the characters and story. Multiple teachers at my school read it and it brought out EVERYONES emotions. Had to get my own copy.